BUFFALO, N.Y. — One of the first steps a person might take after being involved in a car accident is to call their insurance company to report the accident and file a claim. In most cases, an insurance companies are responsible for covering the costs of medical treatment, lost wages, and more. Unfortunately, many insurance companies fail to properly reimburse their policyholders. After filing an accident claim, an insurance representative will typically contact you to try to get more information. They’ll often ask you about some of the details of your claim, such as medical records and any evidence that you lost wages because of the accident. The insurance adjuster will then review your policy to determine available coverage. As this person investigates your claim using the information you provided, their primary objective is to save the insurance company as much money as possible. Why Does My Insurance Company Need to Investigate My Accident? Insurance companies conduct investigations of accident claims to find and opportunity to deny your claim. These corporations have a financial incentive for refusing to pay the claims of their policyholders. In some cases, these companies may even reward insurance adjusters for finding ways of denying legitimate claims for compensation. This is how many of the country’s top insurance companies maximize their profits — denying their loyal policyholders the funds they need to recover from a car crash for which they were not at fault. It’s not uncommon for insurance companies to come up with illogical reasons to deny your claim. To prevent such manipulation, it’s a good idea to get a Buffalo car accident attorney involved in your case, even before you speak with an insurance agent. Most insurance companies employ investigators whose entire job is to detect and deter insurance fraud. These individuals typically have law enforcement experience and extensive knowledge of New York State insurance laws. The insurance investigator may also ask you for permission to inspect your car for damage, physical evidence such as damaged property, and a copy of the police report. Insurance investigators work with the interests of the insurance companies in mind. Therefore, they’ll likely do what they can to discredit any evidence you present to them showing the true extent of your losses and injuries. When you work with a team of resourceful car accident attorneys in Buffalo, they’ll also investigate your accident; but with your interests in mind. 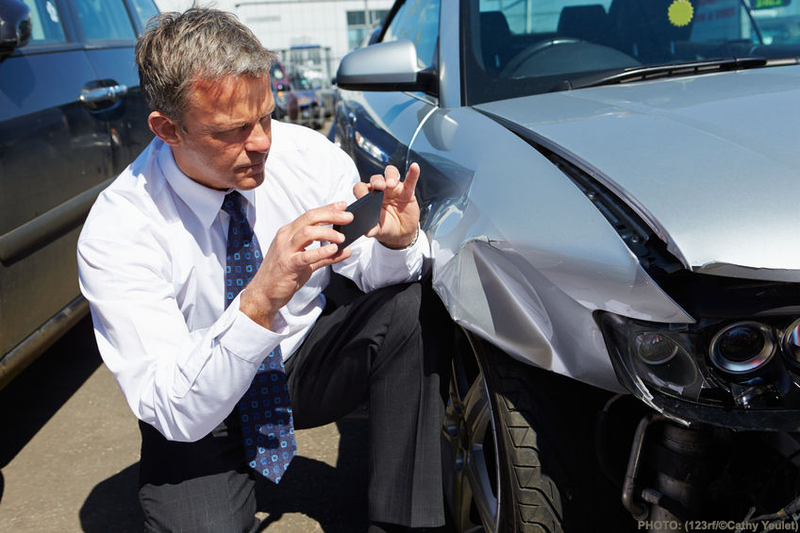 Our car accident lawyers will look to preserve any evidence that supports your claim. Using this evidence, a car accident lawyer in Buffalo can put together a strong case so that you can walk away with the best result possible. Call us, or contact our experienced team at Cellino & Barnes for quality representation. We have over 60 years of experience obtaining successful settlements for clients throughout New York, and we’d be honored to work for you. ROCHESTER, N.Y. — If you’ve been exposed to asbestos at any point in your life, there’s a chance that you could be diagnosed with mesothelioma. Even if your exposure happened decades ago, it often takes time to notice the symptoms of cancer. So, what are the symptoms of mesothelioma? For many patients, their medical teams may not recognize the symptoms until it’s too late. A Rochester mesothelioma lawyer says it can take up to 50 years for symptoms to become prevalent. Since the disease is so rare, doctors don’t often suspect it. However, some of the best doctors in the world have found that some ailments can be considered a warning sign. Whether it’s mesothelioma, lung cancer, or some other disease causing these symptoms, it’s always important to discuss your concerns with a medical professional. Many of these symptoms are not unlike the flu. Most patients initially complain of a cough, feeling tired, and shortness of breath. It’s important to note that these symptoms don’t go away over time, and no over-the-counter medications can help. You must see a doctor who specializes in mesothelioma. Typically, doctors will look at the most common diseases that may cause a person’s symptoms. However, mesothelioma is extremely rare. Less than 5,000 people are diagnosed with this type of cancer each year. If the doctor doesn’t ask about a person’s history with asbestos, they probably won’t consider mesothelioma as the cause of the health problems. 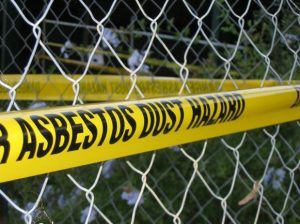 A Rochester mesothelioma lawyer says that if you were exposed to asbestos at any point in your life, you should discuss it with your doctor and make it part of your medical record. On top of these tests, you might need chest X-rays and CT scans to determine what’s changing your organs. If these scans reveal fluid accumulating in your lungs or other organs, the doctor may require a sample of the fluid to confirm the presence of mesothelioma cancer cells. As with all cancers, doctors require a confirmed diagnosis before the patient even considers a treatment plan. Once a patient has a confirmed case of mesothelioma, getting the best care should be your top priority. An experienced mesothelioma attorney in Rochester will know the best doctors to help build your treatment plan, and it may not be as expensive as you think. The Rochester mesothelioma attorneys at Cellino & Barnes will fully investigate your history with asbestos, and hold the companies responsible for your disease accountable for their negligent actions. Throughout the 20th century, many products contained asbestos. The companies that manufactured these products knew they were dangerous for both workers and consumers. Yet, they ignored this knowledge and put profits above peoples’ health. For that reason, our team is proud to fight the big asbestos companies and help victims get the care they need to live out their lives as comfortably as possible. If you’ve been diagnosed with mesothelioma, asbestosis, or other asbestos-related disease, call a Rochester mesothelioma lawyer for a FREE case evaluation. We’d be honored to help. NEW YORK — Accidents happen. It’s a fact of life, but it’s the decisions you make after your accident that can define the rest of your life. Of course, it’s important to get medical care after an injury. The question is, what kind of medical care should you seek? Should you go to the local emergency room or an urgent care center near you? A Brooklyn personal injury lawyer says it all depends on your injuries. Should I Visit The Emergency Room After An Accident? After a forceful car crash, you’re probably a bit shaken up. While you may certainly receive proper care at your local ER, it might be easier to get care at a less-populated urgent care clinic. The best place for medical treatment after an accident all depends on your condition. Every second counts when treating the injuries above. At an ER, the doctors will see you ahead of other patients with less serious trauma if your condition is truly dire. Urgent care centers are readily available in most neighborhoods and focus on treating minor injuries. An urgent care center is the perfect middle-ground between waiting weeks to possibly months to see a primary care physician and crowding the ER with a non-emergency matter. You’ll see a medical doctor or nurse practitioner the same day at your local urgent care clinic, and you’ll likely have less of a wait than you would at the ER. At an urgent care clinic, medical professionals will let you know what injuries you’ve suffered and guide you on the next steps should they require further treatment. Following an accident, Brooklyn personal injury lawyers say it’s crucial to visit your doctor, an ER or urgent care as soon as possible to establish a medical record of any injuries you suffered. This record will help you obtain compensation should you wish to seek compensation through an accident claim or lawsuit. The team of compassionate and experienced Brooklyn personal injury attorneys at Cellino & Barnes can help you understand what to do after an injury disrupts your life. 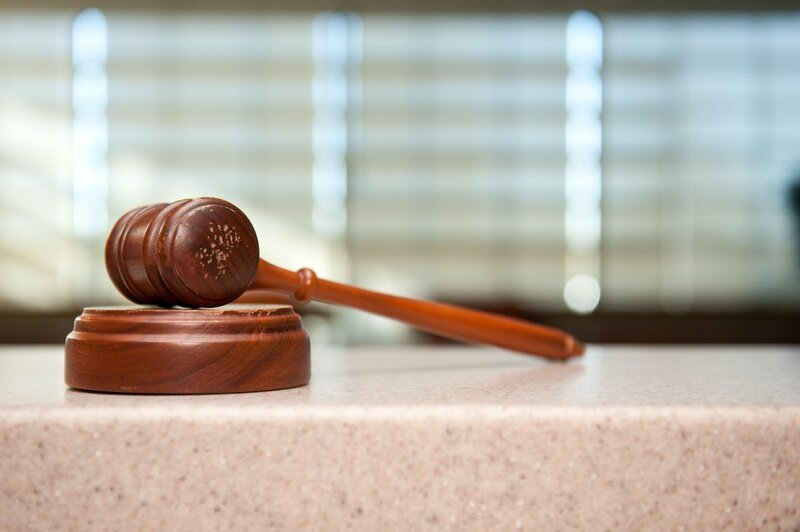 We’ve provided counsel to personal injury victims for over 60 years, and we don’t take a fee until we win your case. We’ve also been recognized as some of the Best Lawyers in America. Contact us at any time of day or night for a FREE consultation about your claim. If you have suffered any of these injuries in a place of business or on city property, you may be entitled to compensation. A personal injury lawyer will be happy to help you understand your options for recovery at this time. When does my slip-and-fall become a Personal Injury Case? Not all slip-and-fall accidents lead to personal injury cases. An injured person may have a case when there is sufficient evidence to hold the property owner or manager (or an employee who works on the property) responsible for the conditions that led to the accident and injuries. Do you have a slip-and-fall case in Long Island? 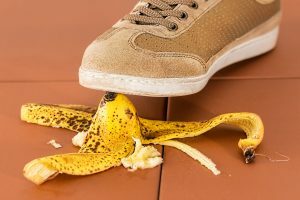 If you have slipped on or tripped over an object on a premises and that fall led to an injury, you may be able to work with a slip-and-fall attorney in Long Island to pursue compensation. Compensation can cover medical expenses, lost wages from having to miss work, and more. At Cellino & Barnes, we are happy to review your case at any time to help you learn what your next steps should be to get back on your feet. Contact a personal injury lawyer for a free consultation. Will My Insurance Company Cover The Cost Of A Totaled Car? NEW YORK — Buying a car is a hefty expense that can take several years to pay off. Although it can be a relief to replace a worn-out vehicle, an unavoidable risk of buying a car is getting into an accident in a car for which you still need to pay back a loan. Although your insurance company will typically step in to cover your losses, such as the cost of repairing your vehicle, a Bronx car accident lawyer says there are many other expenses to consider. First, you need to prioritize. Your health and wellness should always be paramount. If you’ve been injured in an accident, it would be wise to get medical treatment and contact an experienced car accident lawyer to help you get compensation for your injuries. Then, you can start to consider options for other things, like your vehicle. Many times, repair can exceed the car’s value. In this scenario, how does the insurance company help you pay off your car? Each auto insurance company sets its own rules for calculating a total loss. 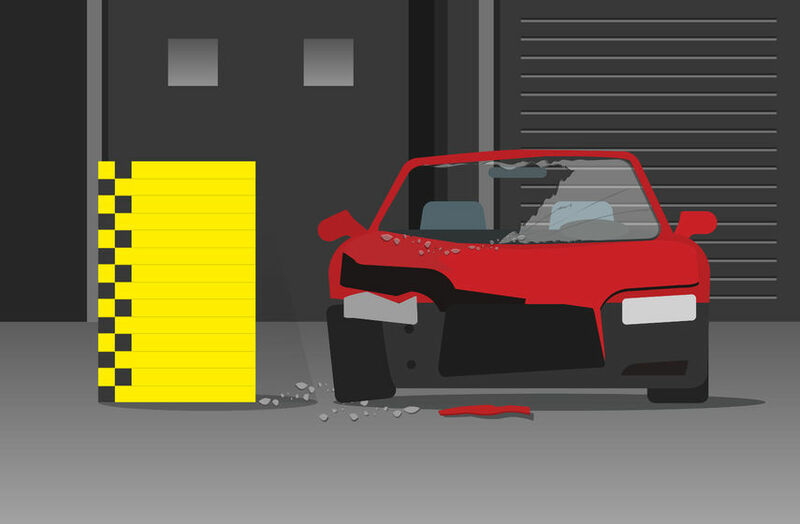 Generally, a total loss is when the cost of a car’s repair exceeds 80% of the car’s value. 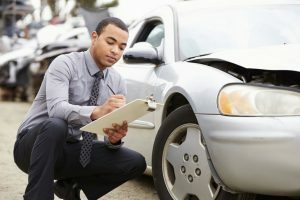 The percentage of the car’s value the repairs must exceed to determine a total loss varies by insurance company; however, 80% is relatively common. Here is an example of how this 80% standard comes into play. Let’s assume your vehicle’s actual cash value was estimated at $10,000 on the day you got into a serious car accident. Applying the 80% rule, we can deduce that your insurance company will consider your vehicle a “total loss” if the cost of repair reach or exceed $8,000 or 80% of the value of your car ($10,000). If repair costs to reach or exceed $8,000, your insurance company will not authorize any repairs. Instead, they will reimburse you for the value of your car before the accident. Once you receive the check from your insurance company, you can use those funds to pay off what remains of your loan. Your insurance company will likely name the bank or financial institution that loaned you money to buy the car (the lien holder) as a payee on the reimbursement check. This is to ensure that the funds you get go toward paying off the car. What If The Insurance Company Doesn’t Cover My Car Loan? Cars depreciate in value much more quickly than other assets. There’s always the possibility that the money you receive from your insurance company won’t cover what you still owe. When this happens, you’re still legally responsible for paying back what you owe. If you have gap insurance, it might cover the difference between the check you got and your remaining balance. One way to give your accident claim the best chance at success is to work with the dedicated team of Bronx car accident lawyers with Cellino & Barnes. We help those who’ve been injured in accidents, and don’t know where to turn. With over $2-billion in recoveries for our clients, we know what it takes to get you fair compensation for your injuries. Additionally, our “No Fee Guarantee” means you won’t pay us a dime if we don’t win your case. We have over 60 years of experience helping car accident victims throughout New York get compensation for their injuries. Call our firm at any time of day or contact us for a FREE consultation. Do I Need To Hire A Lawyer When The Other Car Driver Was At Fault? ROCHESTER, N.Y. — When you’ve been in an auto accident, there are so many things to consider. Do I need to call the police? Should I contact my insurance company? Do I Need To Hire A Lawyer When The Other Car Driver Was At Fault? Should I see a doctor? Every decision is important, and a car accident lawyer in Rochester NY can explain what you should do after your accident. Get Medical Attention. If you or anyone else has been injured, it’s crucial to get immediate medical attention. Statistics have shown that recovery times are drastically reduced if you see a doctor right away. Call Police. After any accident, you’re going to need an accident report. Local law enforcement typically draft these, and it’s important that you get a copy. Gather Evidence. Many accidents have witnesses. Be sure to talk to these individuals, and get their contact information. It’s also critical to take pictures of the accident scene. This includes photos of your vehicle and any injuries sustained. Since your injury can heal, it’s important to have photos! Contact An Experienced Car Accident Lawyer. One of our helpful car accident lawyers can explain what the next steps are. If you contact the insurance companies, you may risk giving them information that they can use against you, if you decide to file a claim. On the other hand, an attorney has a sworn duty to protect your rights, and help you get the best result possible. You Were Not At-Fault For The Accident. You Were Injured As A Result Of The Accident. If it can be determined that the other driver was negligent AND you were injured as a result, you should contact an experienced car accident lawyer as soon as possible. Only an experienced personal injury lawyer can help you get the best result possible from a claim. A car accident lawyer in Rochester NY will help you build a case, and negotiate with the insurance company’s legal team to make sure you’re fairly compensated for your injuries. The Rochester car accident lawyers at Cellino & Barnes have recovered over $2-billion for their clients, and have been recognized by many prestigious publications for their work in personal injury law. We consider our team to be some of the best car accident lawyers in Rochester. Contact us online or call us anytime for a FREE case evaluation. Who Pays for the Rental Car After an Accident? NEW YORK — Car accidents can cause considerable setbacks, on top of any injuries you’ve suffered. A car accident attorney in Long Island, NY says it’s always important to put your health first. Get medical attention, and call a Long Island car accident lawyer. Once you’ve made those steps, then you can focus on getting your life back on track, and possibly getting a rental car. More often than not, car repairs can cost a small fortune. If your car was banged-up in a car accident in Long Island, you might be wondering what you need to do to get a rental car and, if the accident wasn’t your fault, who will pay for it? If you have injuries that can be prosecuted in court, your lawyer might be able to file an accident claim on your behalf. Even if you just have minor cuts or bruises, an experienced car accident lawyer on Long Island can help you decide what to do next. In some cases, they may advise that you handle this claim with your insurance company in order to cover the cost of repairs, and get a rental car. If the accident was someone else’s wrongdoing, their insurance company should cover the costs of your rental vehicle. You should also get a comparable vehicle for as long as it takes to repair your car. Unfortunately, even if there’s clear evidence that the other party caused the crash, their insurance company will likely be hesitant to pay for a rental. If this is the case, you’ll have to try the second method. When the other party’s insurance company refuses to pay for the vehicle rental, your insurance company might cover you if you have rental reimbursement coverage. When your insurance company covers this cost, they may seek reimbursement from the other driver’s insurance company at a later time. Finally, you might need to front the costs when both insurance providers drag their feet. This can become more problematic when you rely on the insurance companies for reimbursement. If you end up paying for a rental car yourself, keep track of all expenses associated with the rental. Lastly, don’t give up! Stay in touch with your lawyer if you’ve retained one; if not, be sure to regularly check-in with your insurance company to get updates on the status of your claim. Have You Been Hurt in a New York Car Accident? The cars that sustain the most damage are usually the tip of the iceberg in a car accident case. Vehicles are replaceable, but the lives inside them aren’t. Often, its these passengers that suffer long-lasting damage, pain, and suffering. If you’ve been hurt in an auto accident, the compassionate team of Long Island car accident lawyers with Cellino & Barnes have over 60 years of experience helping accident victims recover financially, physically, and emotionally from their accidents. Contact our law firm at any time of day or night for a free consultation. We do not take a fee unless we win your case. Can A Personal Injury Lawyer Help Me Get Compensation? NEW YORK — When you’ve suffered an injury, it can change your life. You’ll have additional and unneeded stress in the form of medical bills, lost wages, chronic pain, and more. If you were injured because of someone else’s negligent actions, you could be entitled to compensation for your injuries. If that’s the case, it’s time to ask yourself, Can A Personal Injury Lawyer Help Me Get Compensation? It’s a question millions of people ask every year. Here, we’ll explain why it’s wise to seek the advice of a personal injury lawyer on Long Island, and what you can do to help maximize any compensation you’re owed. After any accident, one of the first conversations you have should be with a personal injury attorney. Unlike the insurance companies, a personal injury lawyer will stand-up for your best interests. All lawyers are bound by a code of ethics to do so. That means helping you get the best possible compensation. In many cases, an insurance company may make an initial offer to settle your claim. However, this offer typically won’t fully cover the costs associated with an injury. In the end, you may be better-off having a Long Island personal injury lawyer investigate your accident, gather evidence, and negotiate a settlement with the insurance company. Even if the insurance company refuses to settle, an experienced personal injury attorney could advance your case to trial. In this case, a judge or jury would decide the proper amount of compensation you’re owed, based on the evidence presented to them. Whether you were injured in a car crash, slipped and fell on a wet floor, or were involved in some other type of accident, you’ll want to find the best personal injury lawyer. Long Island, NY has a number of personal injury law firms to choose from, and each firm handles their cases differently. At Cellino & Barnes, our consultations are always FREE. 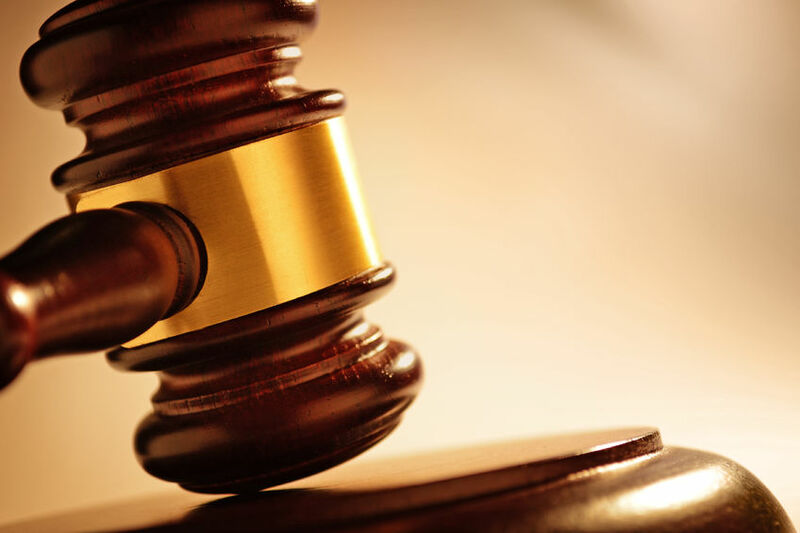 All of our personal injury lawyers have years of experience winning cases by getting settlements AND verdicts at trial. Lastly, our No Fee Promise allows you to relax; if we don’t win your case, you don’t owe us a dime. If you’ve been injured, contact us here, and we’ll put our best Long Island personal injury attorney on your case. NEW YORK — Do you know which products on your shopping list might be defective this year? Faulty products send thousands of people to the emergency room annually. 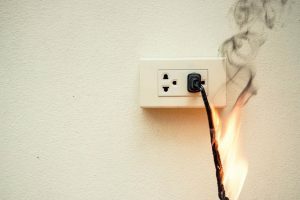 Whether it’s a gift or an every day household item, a Queens personal injury lawyer says defective products fall under a unique category of personal injury law known as “product liability law.” The terms outlined in these rules sometimes make it easier for victims to recover damages from a liable party, such as a manufacturer or the seller of a faulty product. Product liability holds manufacturers and sellers liable for allowing defective products to be available to consumers. The responsibility for a defect that leads to an injury lies with all the parties in the chain of distribution. The law requires all products to meet the ordinary expectations of the consumer. To have a viable product liability claim, a product deemed defective or dangerous cannot meet those expectations. State laws regulate product liability claims, which may be brought under negligence, strict liability, or breach of warranty. If you’ve been injured as the result of a defective or dangerous product, there may be several parties you can hold accountable. Negligence: In this scenario, the plaintiff (injured person and their family) must prove that the manufacturer or seller had a duty to provide a safe product, and they ignored that duty. This breach must also have caused the person’s injury. Strict Liability: In this case, a manufacturer or seller is held liable for another person’s injuries even if they didn’t have knowledge that their product was harmful. This is typically the case when a product has a defect, and the plaintiff must show that they used the product in a ‘typical’ manner. Breach of Warranty: Products with manufacturer warranties allow plaintiffs to bring breach of warranty lawsuits when those warranties fail and lead to injuries. A defect can occur at any stage of the production process; from the moment the product is designed to the moment it’s boxed-up and sold. Most product liability suits involve only one type of defect, but a plaintiff could be entitled to additional compensation if several defects were present. Cellino & Barnes has experienced personal injury lawyers in Queens who have helped many clients with product liability claims. Our goal is to help you get the compensation you deserve after you’ve suffered unnecessary injuries stemming from a defective product. Contact our Queens personal injury lawyers to discuss your claim. NEW YORK — New York State Police are urging drivers to follow the “Move Over” law after a tractor-trailer sideswiped a police car and an SUV on the Thruway Wednesday afternoon. Trooper Thomas Hanigan and a passenger, Juana Herrera, were injured in the accident, police said. State police said Juana Herrera, 46, and Alejandro Espinosa, 56, both of Albany, were attempting to change a tire on the side of the highway with the assistance of Thomas Hanigan, a 19-year veteran assigned to state police barracks in Ulster. While they were changing the tire, police said a tractor-trailer sideswiped Hanigan’s police car and the SUV with a flat tire. The truck driver, who hails from Quebec, Canada, was ticketed for violating New York State’s “Move Over” law. Now, troopers are urging other drivers to remain conscientious of their surroundings, and move over or slow down when there are vehicles on the side of the highway. Both Juana Herrera and trooper Thomas Hanigan were taken to the HealthAlliance Hospital’s Broadway Campus in Kingston, where they were treated for their injuries. The New York “Move Over” Law was expanded in November, 2016. It now requires drivers of all vehicles to slow down or move over for roadway construction crews, sanitation vehicles, and all vehicles displaying emergency or hazard lights on the side of the road. Violating the “Move Over” law can result in a $150 fine for a first offense. Additional offenses could cost up to $450. The law was created by lawmakers in response to a string of accidents across the country that could’ve been prevented if drivers simply slowed down or moved to another lane. Drivers who violate the “Move Over” law are not only subject to hefty fines; they can also be held responsible for another person’s injuries. Whether that person was struck by a tractor-trailer or a smaller vehicle, the injuries can leave a lasting impact on that victim’s life. 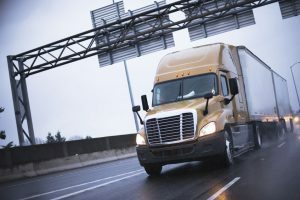 In New York State, truck accident attorneys say victims have the right to file a personal injury claim, which can help victims get compensated for their injuries. If you or someone you know has recently been injured because of another driver’s negligent actions, you’ll want to get in-touch with a qualified New York truck accident lawyer as soon as possible. There are many deadlines that need to be met in order to get the best result possible from a claim. If you decide to contact Cellino & Barnes, we’ll put our best truck accident attorney in New York on your case, and examine every piece of evidence that could help your case. Contact us anytime – day or night – for a FREE consultation.